Before Jack the Ripper terrorized London, Spring-Heeled Jack was tormenting citizens with his claws and tight-fitted clothes. 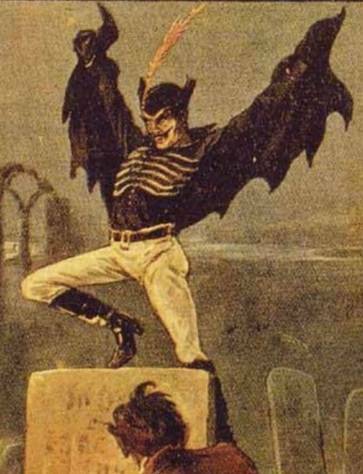 Wikimedia CommonsIllustration of Spring-heeled Jack from the 1867 serial Spring-heel’d Jack: The Terror of London. Before Jack The Ripper began his reign of horror, there was another mysterious entity terrorizing the streets of London. His or its name was Spring-Heeled Jack. 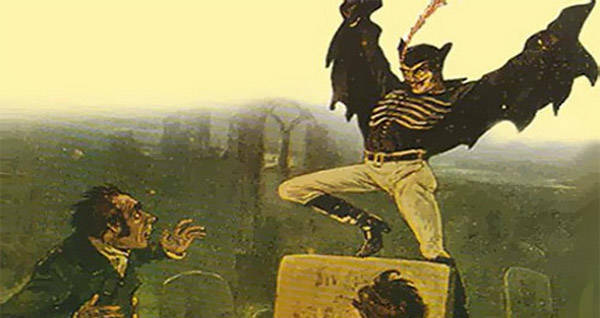 Spring-Heeled Jack was an unidentifiable assailant that began tormenting London in 1837. In the very first recorded sighting, a servant named Mary Stevens reported walking to Lavender Hill when a figure leaped out at her, grabbing her and scratching at her with his claws. Her screams drew the attention of passersby, who searched for the assailant but were never able to locate him. Following this first account, several other young women reported similar sightings throughout suburban London. According to early reports, the attacker was described as a shape-shifting figure, ghostly in appearance, and with gloves in the shape of claws. Rumors of this strange figure swirled around London for about a year with the press giving him the nickname Spring-Heeled Jack. The story was not thought to be anything more than exaggerated gossip or ghost stories until an encounter the following year. In February of 1838, a young woman named Jane Alsop claimed that a gentleman wearing a cloak rang her doorbell late at night. He then took off his cloak to reveal tight-fitting clothes that resembled white oilskin. Then, he breathed blue and white flames into her face and began to cut at her clothes with his claws. Luckily, Alsop’s sister was able to scare the attacker, making him flee from the scene. A man named Thomas Millbank was arrested and tried for the attack on Jane Alsop. However, due to her insistence that the attacker could breathe fire, he was not convicted. Just a few days later, a similar account was reported by an 18-year-old woman named Lucy Scales. She was out walking with her sister in Limehouse when a figure leaped at her from an alley and blew flames into her face, leaving her in a state of hysterics. The attacker left the scene and was never found, though several men were brought in for questioning. 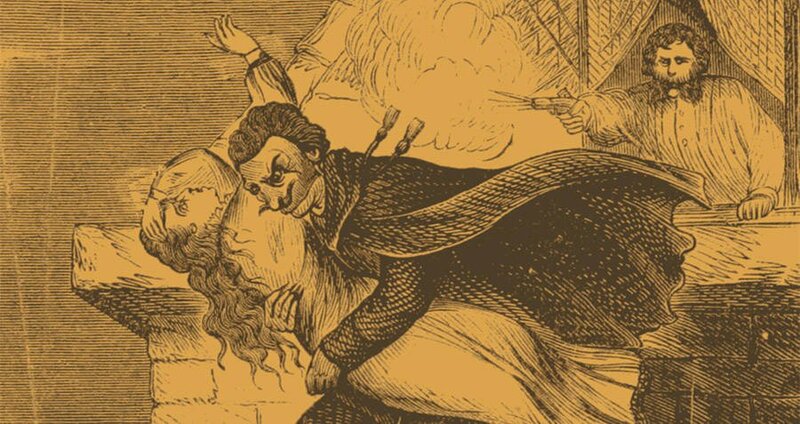 Following the accounts of Jane Alsop and Lucy Scales, Spring-Heeled Jack sightings were reported all around England, even reaching parts of Scotland. His victims were most commonly described as young women and they all described similar accounts of a mysterious man, thin in tight-fitting clothes, red eyes, and claws for hands. 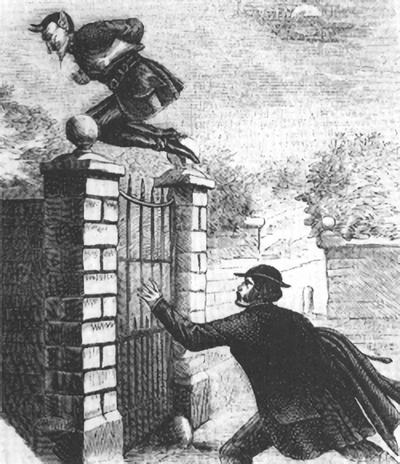 Wikimedia CommonsAn illustration of Spring-heeled Jack evading police in Spring-heel’d Jack: The Terror of London. As the rumors spread, the story of Spring-Heeled Jack began to take on a life of its own. Many plays, novels, and penny dreadfuls featuring Spring-Heeled Jack were written throughout the second half of the century, cementing his status as a figure of urban legend. As time went on, reports of Spring-Heeled Jack sightings grew even more bizarre, perhaps fueled by popular fictitious accounts. Even more superhuman traits were attributed to him, including the ability to leap through the air and over buildings. However, as the stories became more outlandish, the threat of the attacker became less frightening. By the turn of the century, he was thought of less as a real entity and more as a figure of folklore. The final Spring-Heeled Jack sighting was reported in Liverpool in 1904. It remains unclear if Spring-Heeled Jack was a real man who terrorized the streets of London, a case of mass hysteria, an urban legend, or simply a ghost story that got out of control. Whatever its basis in reality, the legend of the Victorian Demon of London still lives on in pop culture today. Next, learn about another mysterious demon, the Jersey Devil. Then, read about the Mothman, who terrorized West Virginia in the 60s.